Read what some of the leading reviewers said about some of David’s designs! the amount of low bass energy this speaker can produce is astounding..
is up there with the established big boys, ATC, Genelec, PMC and the rest..
..an optional, I would suggest imperative extra is on site analysis and alignment of the system..
"there was absolutely no hint of either compression or distortion, just limitless power coupled with lightning speed"
Peter Mapp article and others, Look here. If you are a School, Academy, College or University, David Purton would like to offer you a personal and tailor made service to best benefit your faculty and students. Would you be interested in a two hour taster session which could be an introduction to a range of audio related topics, for instance..
loudspeaker parameters to create your own designs. speaker..with a bit of help from Sound Right! 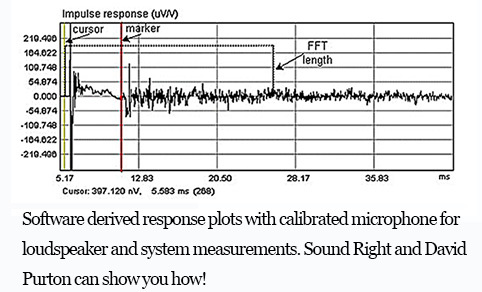 measurements, frequency response and gated response using software. How to set up active crossover systems, eq and delays working in DSP. 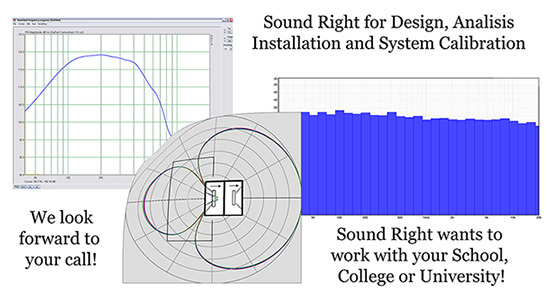 How to develop passive crossover networks for your loudspeaker. 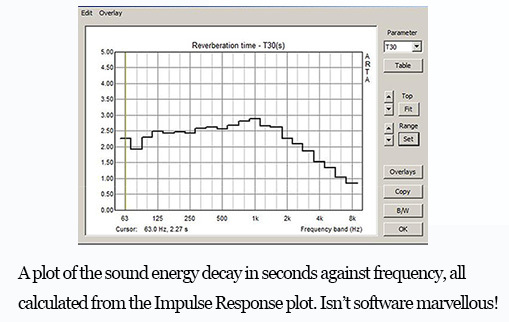 response and reverberation times using readily available software programmes. Each taster seminar may be developed into a course or number of sessions to work with your students who, like David, have a passion for sound reproduction and loudspeaker design! Course content and cost would be discussed in detail so as to offer real value in terms of an extra curricular component to your main course structure or practical help and advice for your “sound team”. This support is not only for those studying sound reproduction and music technology but can be equally rewarding for those involved in creating the sound for you school concerts, perhaps bringing even better sound quality for your parents and patrons? Emphasis would be placed on a “hands on” practical approach to achieve the required results and will not delve into the relatively complex maths and physics that lie behind much of the software and measurement procedures. This will stay in the domain of your highly qualified teaching staff and the many published papers and web sites that focus on these aspects. David has college lecturing experience and is CRB checked to permit him to work with students under the age of 18. Get in touch and find out how David and Sound Right can support you..?